- Round-the-clock monitoring, quick response and good returns for you. Assisted by rich industrial experience and immense knowledge, we are able to offer Turbine Blades Testing Services to the clients. Our rendered Turbine Blade Inspection involves scanning various sections along the axis of the aerofoil and comparing them to nominal data while at the same time viewing the data along the blade centre line. Non-contact Laser based Scanning is essential, both to accumulate the scanned data and to offer full graphical and textual reports. 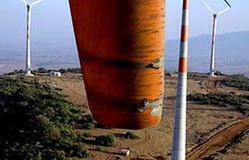 Turbine blades prone to failure under repeated or cyclic and fatigue loads. 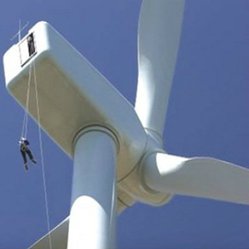 So, these turbine blades needs a periodic check. Turbine bump test uses accelerometers, computer software and a calibrated impact hammer to bump the end winding, causing it to vibrate and measure and analyze the associated dynamics. Mudra Dies & Patterns Pvt. Ltd.
Often the inspection of turbine blades involves scanning many sections along the axis of the aerofoil and comparing them to nominal data while simultaneously viewing the data along the blade centre line. Non-contact Laser based Scanning is necessary, both to collect the scanned data and to provide full graphical and textual reports including Leading & Trailing Edge details. Wind turbine blades are exposed to heat, sand, rain, snow and hail and often the extreme weather conditions erode the surface. Wear and tear negatively affects aerodynamics, and increases turbulence in the blades, resulting in reduced overall turbine output.